"Totally tiny ... incredibly Cool! 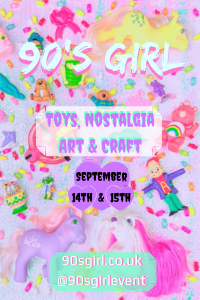 Be part of the Wee Wild World!" 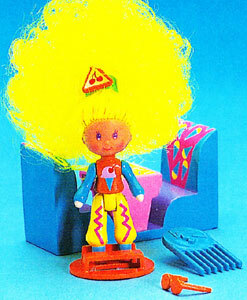 Wee Wild Things were produced by Mattel in 1987. 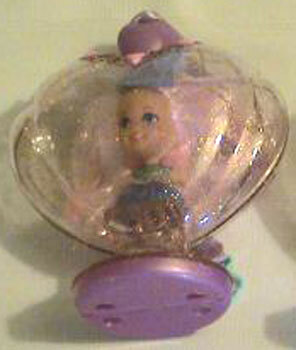 They were a series of eight small dolls which came with a small playset each to play with. 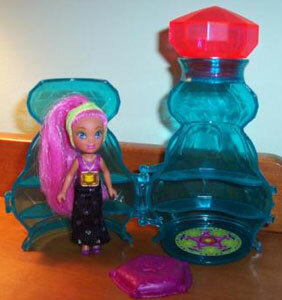 There were also three medium sized playsets and one large one. 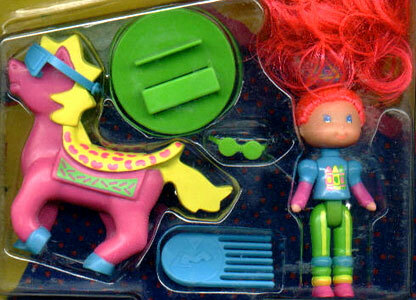 The dolls were roughly 2.5" inches high. 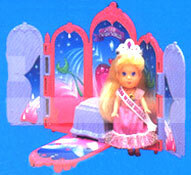 There were also three larger playsets which came with a doll each and various small accessories. 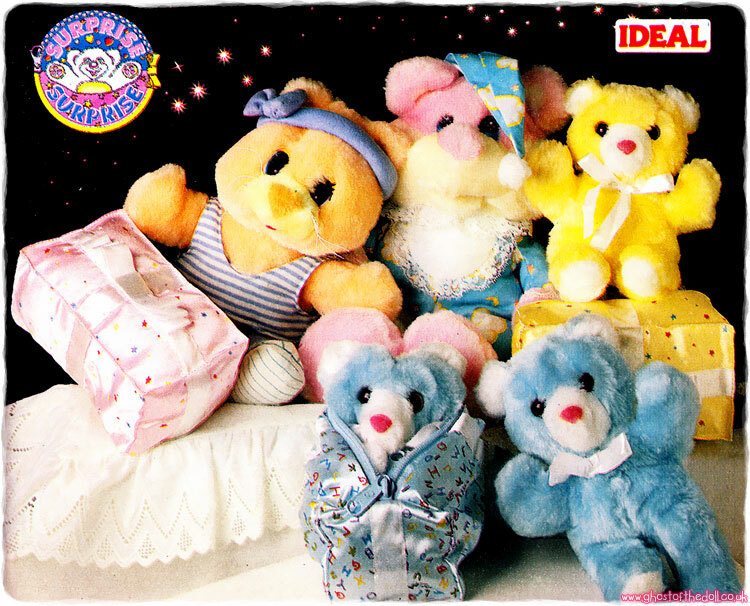 Images on this page thanks to Nhtpirate, Jennifer, Lori Francz and eBay seller Margies-Cuties-and-Collectibles ! View all Wee Wild Things on eBay.com or eBay.co.uk ! "Welcome to the itsy-bitsy, wicky-wacky world of Wee Wild Things! 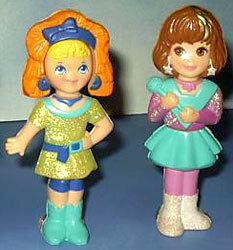 They're 2 1/2 inch characters with names like, "Zany Janey," "Kicky Nicky" and "Rhoda Soda!" 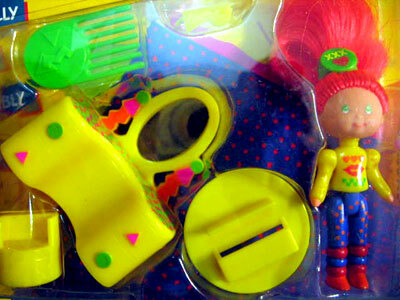 Each doll has poseable arms and legs, long, "neon-colored" hair, and comes with her own personalized plaything! 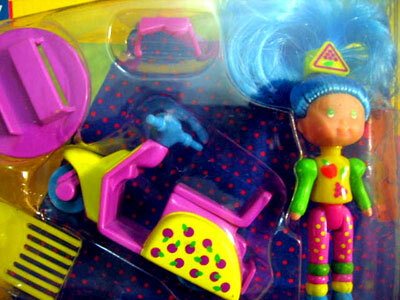 There are three outrageous playsets, too, each with a Wee Wild surprise inside! 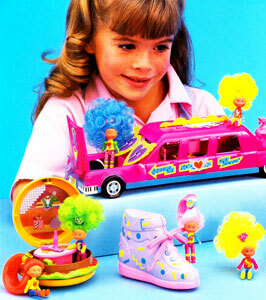 And a Liv-In Limo, the wackiest home on wheels! Wee Wild Things: They're the biggest little things to come along in years!" 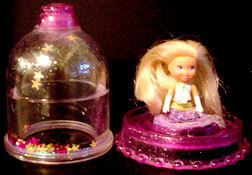 "Sneak a peek at the Wee Wild World, where everything's gone mini! There are eight totally tiny friends in the Wee Wild World. 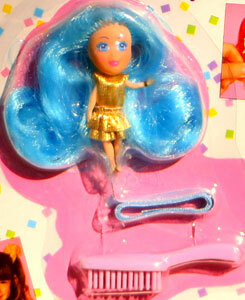 Each features moveable arms and legs, long, combable hair, sunglasses, hair clip, comb and doll stand. 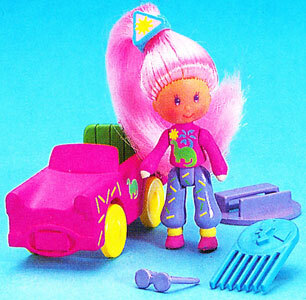 Plus, each doll has her own play accessory for added Wee Wild fun!" 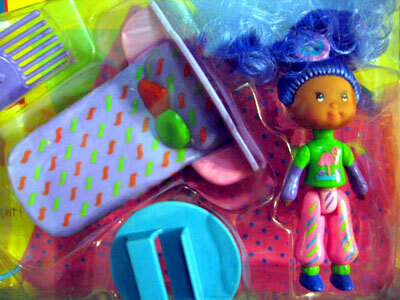 There were eight different Wee Wild dolls which came with a variety of different small playsets and accessories. Came with scooter, sunglasses, hairclip, stand & comb. "My one and only way-out pony!" 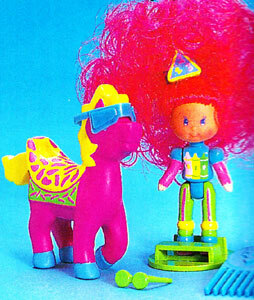 Came with pony, sunglasses, hairclip, stand & comb. "Wanna sit for a banana split!" 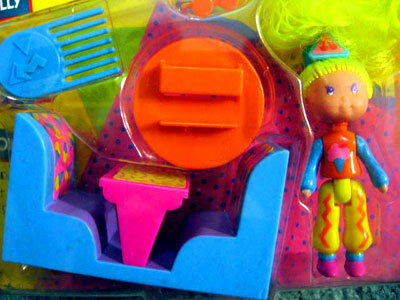 Came with dinner table & chairs, hairclip, stand & comb. 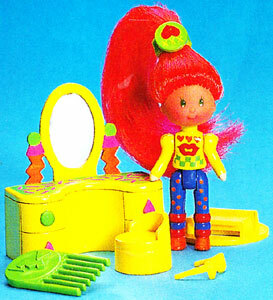 "Look at me in my vanity!" 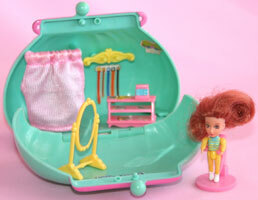 Came with vanity & stool, hairclip, stand & comb. 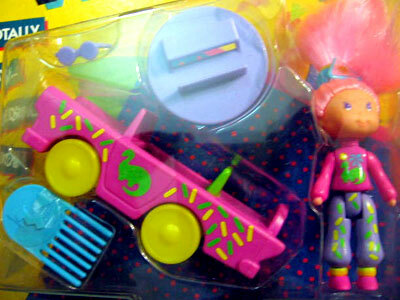 "I'm a star in my ultra cool car!" 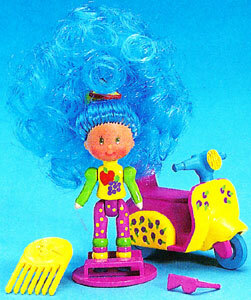 Came with open top car, hairclip, stand & comb. 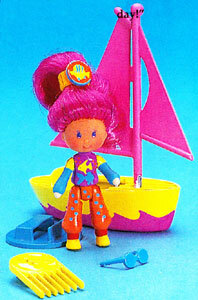 "Lets sail away and play all day!" 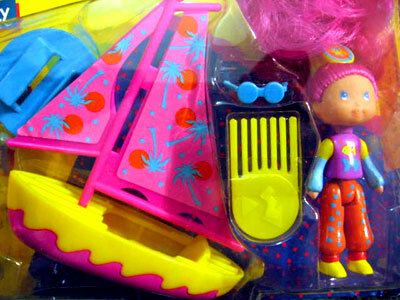 Came with boat, sunglasses, hairclip, stand & comb. "Night night. I'm sleeping tight!" 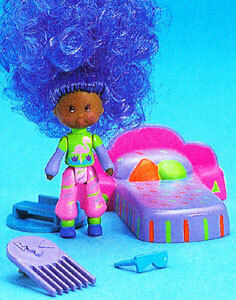 Came with bed, hairclip, stand & comb. 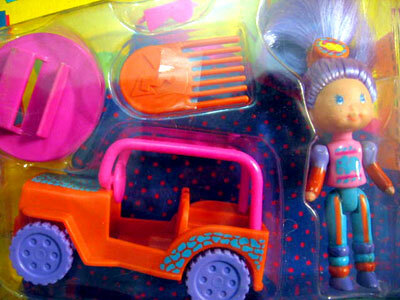 "Take a peep at my jammin' jeep!" 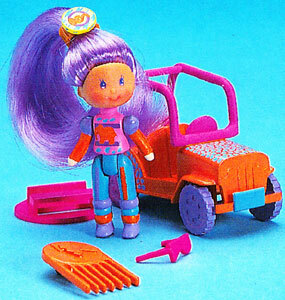 Came with jeep, hairclip, stand & comb.